Top Hat Home Comfort Services is one of Ottawa’s longest standing full service home heating contractors. Our showrooms in Ottawa and Carleton Place have over 100 Fireplaces and Stoves on display; you are sure to find your ideal space heating solution. We also offer a complete selection of central heating products from top manufacturers such as Lennox and Amana so we can meet any budget and preference. 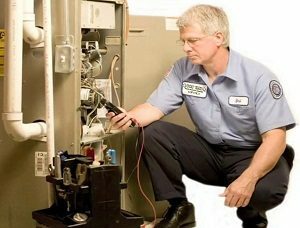 When the time comes to replace your old system, no one has a better range of product choices – from gas furnaces, to heat pumps, boilers, radiant or forced air heating. The experienced Home Comfort Consultants at Top Hat are ready to help you review your options and recommend the best heating solution for your home. Top Hat is a long-time member of the Heating, Air Conditioning & Refrigeration Institute (HRAI). HRAI Contractor Members are held to a higher standard and are required to provide and maintain insurance coverage, as well as all valid trade certificates and licenses, and to uphold the HRAI Member Code of Ethics. As a registered Technical Safety & Standards Authority (TSSA) contractor, you can be confident that Top Hat Home Comfort Services adheres strictly to all codes, regulations and safety practices, ensuring trouble free service and installations in your home. Use our secure online financing form to determine your monthly payments in advance. From value-driven options to full-featured advanced models, the home comfort experts at Top Hat can recommend the best thermostat for your particular needs. And then our experienced service technicians can install and set it up for you. Advanced features have allowed for dramatic improvements in comfort and efficiency, even with older radiator systems. The Fusion Wood Burning Fireplace has the first fully automatic fireplace air damper. Advanced wood burning technology – Low EPA Emissions and maximizes wood heat efficiency. The Opel is our most popular High Efficiency Wood Fireplace in Ottawa. Top Hat is a full-service dealer, offering comprehensive maintenance, service, and repairs for all makes and models, as well as nohassle warranty repair service for the products we sell, all performed by our highly qualified and licensed technicians. Top Hat is a member of HRAI and a licensed TSSA contractor. Our emergency service is available 24 hours a day, 7 days a week, 365 days a year. Our trucks are well stocked with parts for most major brands — your peace of mind is just a phone call away!